Great attorneys care for their clients with skill, wisdom and diligence. Unfortunately, some attorneys fail in one or more of those categories. When lawyers do not “own up” to their mistakes and settle, a client may need to sue. This article sets forth what a client must prove to win a legal malpractice case in Oregon and what attorneys sometimes offer as defenses. Depending on the facts, a client may have other claims against attorneys, including breach of contract, fraud, theft and breach of fiduciary duty. Often legal malpractice claims arise from not filing claims on time (statute of limitations) missing other deadlines, not preparing for trial, or simply not knowing the law for which the client hired them. WARNING AND DISCLAIMER: This article is no substitute for legal advice, and it is insufficient to understand your rights and obligations. Elements of a claim of legal malpractice: What clients must prove to win their lawsuits. 1. Lawyer owes client a duty of care. Was there an attorney client relationship? The biggest exception to the rule you can only sue your own lawyer is for people who were the intended beneficiaries of wills or trusts. They may have a claim for legal malpractice against lawyers who prepared a trust – even if the beneficiary did not hire the lawyer – when clear evidence shows client intended to will money or property to a loved one, but the lawyer screwed up. The duty of care must arise from some consent to work together. Just because you want a lawyer to represent you does not mean the lawyer must work for you. The lawyer must voluntarily agree to provide legal help. A contract or a letter of engagement is the best way to define the attorney-client relationship. However, attorney obligations or duties may arise in circumstances that are less clear. When there is a dispute about whether an attorney-client relationship exists, Oregon courts apply the “reasonable expectations test,” which is: (a) did the client believe the lawyer was representing the client and (2) was the client’s belief reasonable under the circumstances. 2. What duty does the attorney owe the client, at a minimum? How do we prove the attorney breached the duty of care in a lawyer malpractice lawsuit? Almost always, clients need to hire another attorney to testify as an “expert witness” to prove the negligent attorney breached a duty of care. Of course, defendants present counter-experts. Then, jurors must decide which experts they believe. Rarely, a judge might allow a claim without one attorney testifying against another if the judge believes a typical jury can understand the issues without expert help. A couple of examples include if an attorney missed an uncomplicated statute of limitations and filed late or when the attorney did not follow the clear instructions of the client. Winning a lawsuit for legal malpractice takes more than proving a breach of duty, plaintiff must also prove the screw-up caused a loss. The concept is like watching someone run a red light: if the driver does not hit the pedestrian, then the pedestrian may not sue. A police officer may ticket the driver, but no civil lawsuit. “To decide whether a breach of the duty of care caused harm to the plaintiff, you must compare the actual outcome with the outcome that would have occurred without the breach. In effect, the legal malpractice attorney (me) needs to prepare for two lawsuits. We must prove the defendant breached his or her duty of care, and we must prove the “case within the case,” whether it is employment discrimination, personal injury, product liability, playground injury. . . . That’s why it is good to have a legal malpractice attorney who has handled a variety of other types of lawsuits over his or her career (me, again). 4. Monetary “damages” in a legal malpractice claim. A. Value of what was lost. The client must consider whether it is worth filing a lawsuit. In divorce cases, for example, people might claim their attorney was not diligent enough, which meant the hated ex-spouse got extra property. If the cost of the legal malpractice lawsuit exceeds the cost of the property, it is not worth filing. Sometimes, clients will provide me a letter or lawsuit filed by their prior attorney in which the attorney alleged the personal injury case was worth $200,000. While it is useful to have such statements by the prior attorney, the attorney often disclaims his prior opinion, “I inflated the number for negotiation purposes.” Or “I really had not evaluated damages at that time and $200,000 was a place holder.” So, despite what the attorney says, the client must still prove monetary damages. B. Attorney fees paid and payable to the malpracticing attorney. If the malpractice caused the attorney to charge client for unnecessary work, then the client may seek payback in the legal malpractice lawsuit. Defenses to legal malpractice lawsuits. Even when a client has evidence to support a legal malpractice claim, the defendant will raise defenses to win or to reduce the amount of the jury award. I touch on a couple below. Defense No. 1: Client made the damages worse. Clients must do what they can to minimize losses or “mitigate damages.” If you can fix the problem caused by the attorney, you need to try. When the screw-up is very clear, sometimes, the insurer for Oregon lawyers will hire a lawyer to try to fix the problems created by the negligent lawyer. Even if the insurer does not help you, you must reasonably try to fix what can be fixed. All claims in Oregon have time limits. If you file late, then your claim is lost forever. 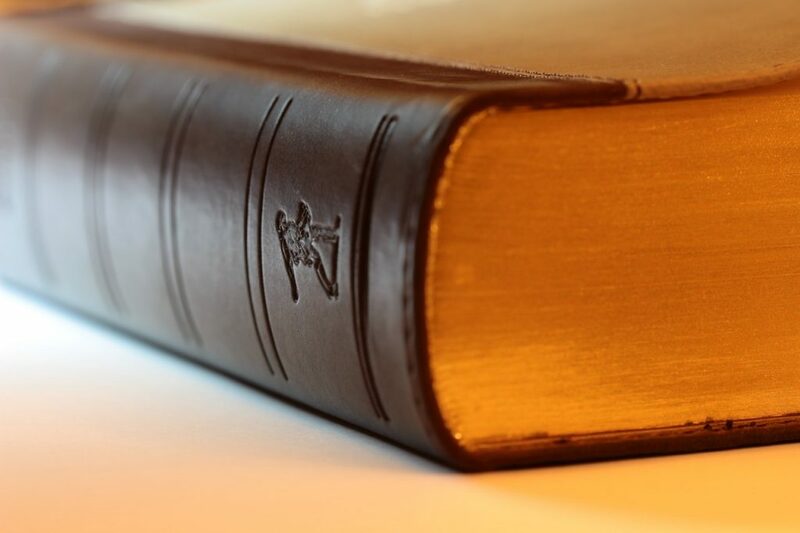 There are two main time limitations for attorney malpractice lawsuits in Oregon: the statute of repose and the statute of limitations. The statute of repose requires us to file claims within 10 years of the date the attorney screwed up, even if you never learned of the screw up. The statute of limitations for legal malpractice in Oregon is two years. Two years from what? From the time the client knows or “in the exercise of reasonable care should have known facts which would make a reasonable person aware of a substantial possibility that each of the three elements:” (1) harm, (2) caused by (3) breach of duty. Other claims against attorneys might have different time limitations. For example, a breach of contract claim must be filed within six years. For more details, click this page for Statute of Limitations for Claims Against Attorneys. “Tolling Agreements” can extend the statutes of limitations. Defendants can agree to waive statutes of limitations. The situation comes up like this. A client calls me with 45 days left on the two-year statute of limitations. I write the attorney and the insurer and offer them a choice: (A) agree to stop or “toll” the statute of limitations for a certain number of days to give everyone time to investigate and resolve the case without a lawsuit or (B) we must file the lawsuit to preserve the right to sue. Sometimes defendants will agree to a limited extension of time. Attorney cover-up can extend the statute of limitations. There’s an exception to the two-year statute of limitations for legal malpractice: fraudulent concealment. Fraudulent concealment acts as a “time out” from the two years. To use this “defense to a defense,” client must prove the attorney (1) wrongfully hid, (2) material facts, which (3) prevented the client from reasonably discovering the malpractice claim. Defense No. 3. Client caused the problem. Under Oregon’s comparative fault statute, plaintiffs who are more than 50% at fault for their own damages lose. If they are less than 50% at fault, then courts must deduct the percentage of fault from the monetary award. For example, if the client lost $100, and the jury determines fault was 60% attorney and 40% client, then the actual judgment would be for $60. Some defense attorneys have argued for a rule that if the client is 1% at fault (instead of 50+%), then client loses and gets $0.00. As of this writing, no Oregon court has agreed with that extreme position. To win a legal malpractice lawsuit in Oregon, the client must timely file a claim and prove the attorney (1) owed a duty of care, (2) breached a duty of care, (3) which caused monetary damages. I represent Oregonians who have valid and substantial claims against their Oregon lawyers for legal malpractice. Please feel free to contact me to discuss your case. ©2018 by Jeff Merrick. The above is not intended as legal advice. It is for general information purposes only. Reading it or attempting to contact me does not mean I am your attorney. I only represent people after we sign a written contract. Willamette Week article better than a lawsuit by me. Replicating Failed Policy of Mass Shelters Perpetuates Human Suffering and Kills Neighborhoods. “Leaders” continue to dodge good ideas from concerned citizens.